GM plans to cut 5,400 jobs in Germany. 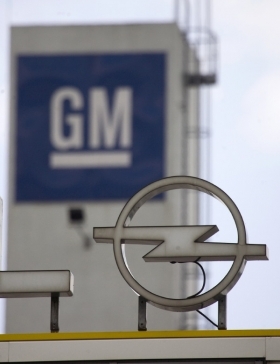 MUNICH -- Germany will take the brunt of about 9,000 job cuts planned by General Motors Co. in Europe as it reorganizes its Opel/Vauxhall division, Nick Reilly, GM's acting head of European operations, said. GM plans to cut about 5,400 jobs at its German factories but will keep open all its plants in the country, Reilly said. He said no final decisions will be made before consultations with Opel labor leaders finish next month, adding that the future of Opel's plant in Antwerp, Belgium, is "uncertain." Reilly said GM is aiming for closure of the discussion by year's end. “We must create a sustainable, viable business plan for Opel/Vauxhall. The competition is intense and getting fiercer every day. We have to reduce our costs,” he said in a statement. Opel factories in Eisenach and Bochum, Germany, along with Antwerp, had been regarded as most at risk of closure. Reilly said GM will establish a working group to look at Antwerp's future and will “consider all alternatives” for the factory. Last year, Antwerp built 133,000 Astras. GM aims to reduce its production across Europe by 20 percent as part of a big reorganization of the money-losing division. Regarding state aid, Reilly said the restructuring required about 3.3 billion euros ($4.92 billion) to help Opel/Vauxhall get through the economic crisis next year and to invest in new products and plants. GM will provide some of the funding of that amount but the company hopes to receive support from European countries with Opel factories, he said. GM Europe employs 50,000 people in Europe and has plants in Spain, the UK and Poland as well as Germany.